I am feeling rough. A thick head, sore throat, streaming nose and nagging cough have all conspired to make yours truly feel positively wretched so thank the heavens it is Friday! In a moment of whimsy - mainly because I was unable to concentrate on anything and the football last night was particularly dull - I had a quick look over some old blog posts from 'back in the day'. I must confess that there were quite a few cringe inducing moments in terms of profound statements about what I was doing and how I was going to do it. It seems to have been a continual round of plan, counter plan, discard plan and repeat. Are all gamers like that or is it just fickle old me? I set out with earnest intentions about project x (whatever that may be) and even occasionally manage to see them through to a conclusion although perhaps far less often than I would like. 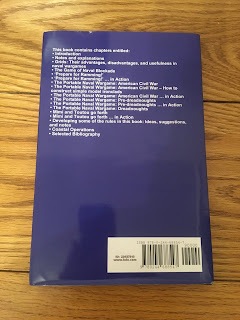 As I have often said there are those periods of history that I keep returning to in one form or another but I guess that in the past I have struggled to find the form of game I want to settle on, hence the revolving door of collections and material (not to mention time, effort and resources). I am fortunate in having a gaming circle that values me and my ideas for what they are and even occasionally to take part in them so my path is not a solitary one despite some of my ideas being a little 'off piste' so to speak. As soon as my head clears I shall be back to the painting of the Axis and Allies WW2 ships with a view to getting some games in. Whilst they are under way I will also look to get Denmark Strait action fought. 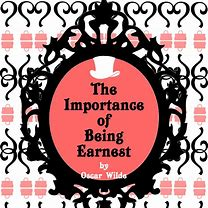 That is earnest intention and of course it is important to be so. The latest offering from the pen of the indefatigable Bob Cordery…. ….with the contents contained therein. It is always nice to get home after a journey - and it is even nicer when a parcel arrives! So it was when we arrived from Corfu on Monday and I received a copy of Bob's latest book - Gridded Naval Wargames. It has been a long road to get to this stage but well worth the effort in my humble opinion and it is a worthy addition to the Portable Wargame series. If I am honest I actually think this is the best of Bob's titles - whether it is because he has developed and honed his writing style and technique or because the subject matter is close to my heart I cannot say but this is a superb work. As an introduction to the steam, iron and steel era of naval warfare this books ticks an awful lot of boxes. To begin with, not only are there no less than 6 sets of rules contained within its pages but there is also a 'how to' guide to making basic ship models, discussions about the use of various grid types, technical and tactical developmental notes as the period advanced through the years and also the rationale behind the game factors for various types of ships. There is an extensive bibliography as well as a number of actions fought using the rules including combined operations (with a nod to a similar game run by the late Donald Featherstone). Finally, there are some suggestions around taking the rules into the Dreadnought and carrier ages meaning of course, the use of aircraft. A newcomer to the period could do a lot worse than buy this book and even seasoned old sea dogs will find plenty of inspiration within its pages. Gridded Naval Wargames is available from Lulu in hard and soft back editions and as a Kindle version on Amazon. 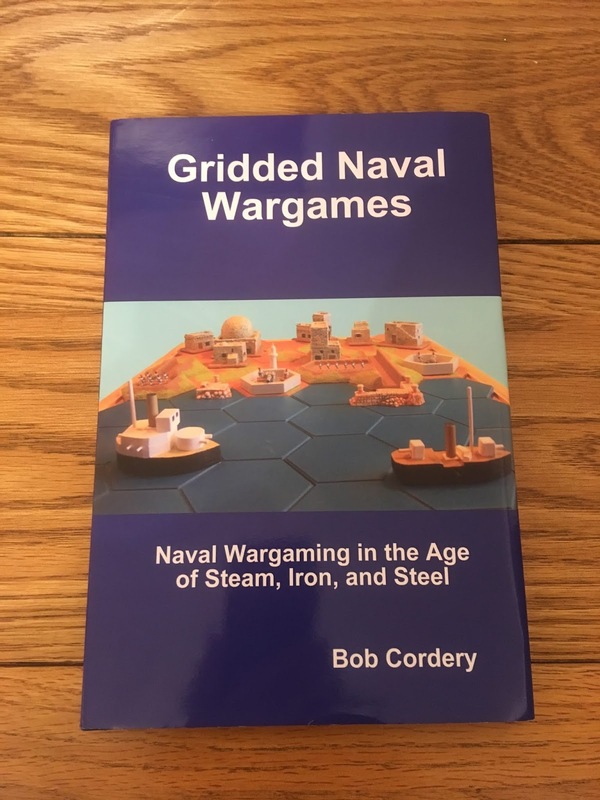 Of course being armed with Bob's book alone would not be sufficient to embark upon some nautical wargaming adventures unless one had some historical background to work from. So it was that I acquired my third copy of the above title. I am flushing with embarrassment at this point as my original version is now in the hands of Mr Fox when I rather rashly decided to offload all my ACW naval kit. The second copy (an ex-library version) went to Mr Hardman - along with a few ships, since (mercifully) returned - and the third version is now sitting in the bookcase where it belongs. I guess this could be described as a valuable lesson in the art of thinking, or in this case NOT thinking decisions about disposing of wargaming material through clearly enough! I have a varied collection of as yet unpainted Peter Pig 1/600th scale ACW warships designed for use along the rivers and so Bob's book is a very timely prompt about the period, arriving as it did when Jack Coombes did. Synchronicity in action eh? Thunder Along the Mississippi does exactly what it says on the tin and covers the river battles up to the fall of Vicksburg. 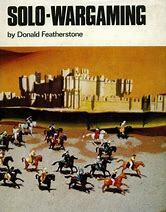 There is a sequel called Gunfire Around the Gulf (again, in the hands of Mr Fox - what was I thinking?) which I shall try and lay my hands on covering the naval war up until Mobile Bay as I recall. I also have the Mahan volumes covering the Gulf and inland waterways on my Kindle (free from Project Gutenberg) whish will provide some more historical perspective as well as the four volumes of Battles and Leaders. For now though I have my hands full painting WW2 ships but the temptation to jump straight in afterwards and tackle the 40 odd ACW ships is a real tease for sure. You may recall that before we went away I listed the books that I was going to read and also that I was hoping to spend some time visiting some places I had not gotten to during my previous trip. I am happy to report that I was able to tackle a sizeable chunk of what I planned to do - meaning we will need to revisit the island at some point in the future to see those things we missed out on this time! Our visit to the old fortress in Corfu town and the wander around the town itself will form a further post but for now I want to confine myself to the wargaming side. 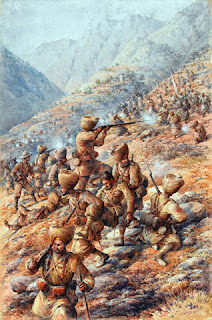 After having very carefully weighed up the two Colonial projects I was considering - the French Foreign Legion and the North West Frontier - by revisiting Our Friends beneath the Sands and The Story of the Malakand Field Force I have settled on the North West Frontier for my solo The Men Who Would Be Kings and Portable Wargames fix. It was however, a very close thing. I believe there is a lot more mileage from the NW frontier in terms of game value than with our friends of the legion (there is absolutely no disrespect intended!) - and this is a very important consideration for my solo gaming. There is a wealth of material available for the period (I am focussing on 1897 initially) in terms of books and figures and also a much larger political dimension to be considered. There is also the Russians. I intend upgrading my Roghan Valley setting based on my research into the background of war of on the frontier to incorporate a whole raft of additional features to add the all important flavour. As to figures I am as yet undecided but, given that this will be a largely solo effort, I am looking very closely at 20mm - as this would tie in with my WW2 ideas. At the risk of sounding slightly north of bonkers it would not be beyond the realms of possibility for me to raise, in 28mm, a force for the Legion for use amongst my gaming circle. The number of figures required would not be large and there is sufficient suitable opposition from the collections of my gaming fraternity by for me own use the NW Frontier will hold sway. Kalispera! I have just returned from a rather nice two week sojourn to the Ionian island of Corfu with Laurel. It was a fantastic break and has given me some much needed R and R and PLENTY of ideas for gaming. More to follow just as soon as we have unpacked and caught up with everything and everybody during our absence. This is a new one on me but may be useful. At present I do not own any of these but I will look to acquire one or two titles in due course. 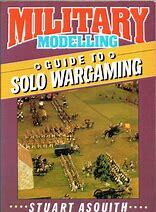 I must confess to being a little uneasy using the term 'solo wargamer' as I do not believe I am! It is true that most of my wargames these days are fought solo but I am equally happy to lock horns with a live opponent on occasion. I prefer to think of myself as a wargamer that fights battles solo on occasion! I fight wargames solo simply for the sake of convenience as my gaming time is generally restricted to the weekend, with the occasional foray to the club, work permitting. Most of my games tend to be played using whatever rules I am using with little or no special adaptations for the solo player. I can be very objective and impartial when fighting a game so the bias element has never really been an issue for me, at least not consciously! I like to think I have a fertile imagination and so designing one off scenarios for my own enjoyment is a hugely rewarding experience and so taking the next step and linking some together in a campaign setting is an obvious one. Thinking about my solo gaming and my rather relaxed attitude to the same has given me something to mull over. I want to enhance my solo gaming experience in a slightly more formal way and so I will be looking to acquire a couple of books on the subject - and there are a few around. I have a number of ideas for long term solo projects and so I want to have an organised head when planning them. Tapping in to the collective experience of others will serve to help with this. As part of my ongoing plan to tackle something for The Men Who Would Be Kings I have been revisiting the North West frontier for some inspiration. I have a couple of books covering the 19th century in the area - including Churchill's The Story of the Malakand Field Force - but have to say that the above really piqued my curiosity. Sometime ago I flirted with the idea of setting up an imaginary North West Frontier province based on the fictional Roghan Valley - in fact there is a folder on the blog with some bits and pieces contained therein. I was surprised at how long ago I was thinking about this but I was able to get a couple of games in. I even went as far as coming up with names for the leading personalities on both sides as well as regimental and tribal titles. It was all quite good fun but kind of fizzled out (like many of my ideas!). I think I am gradually getting close to a decision about which Colonial theatre I will focus on - at least close to narrowing it down to a choice between the Foreign Legion or the North West frontier. Plenty of time to think about it though and I have no intention of rushing into a hasty decision.